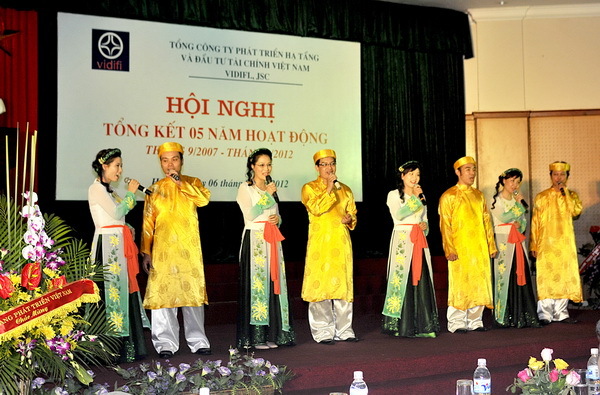 In the afternoon of September 6th 2012, Vietnam Infrastructure Development and Finance Investment Joint Stock Company (VIDIFI.,JSC) held the summation conference of its 5 year operation (06 September 2007 – 06 September 2012). 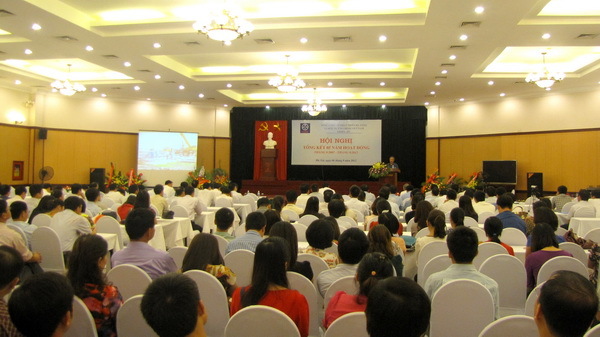 The Conference was attended by Mr. Nguyen Quang Dung – Party Committee Secretary, General Director of Vietnam Development Bank, which is the major shareholder of VIDIFI; representative of Commercial Joint Stock Bank for Foreign Trade of Vietnam; leaders of VIDIFI and all the staff and subsidiaries of VIDIFI. 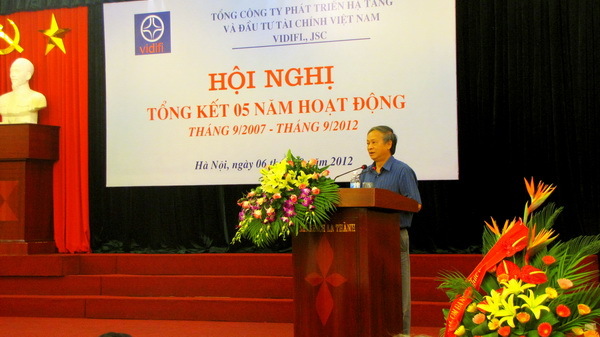 After 5 years of establishment and operation, under the clear-sighted leadership of the Communist Party, the State and the Government as well as the cooperation of the relevant ministries, departments, localities, the Shareholders (especially Vietnam Development Bank), the close leadership of the Company’s management, the strong efforts of VIDIFI’s staff, VIDIFI has been operating stably and has made important achievements. 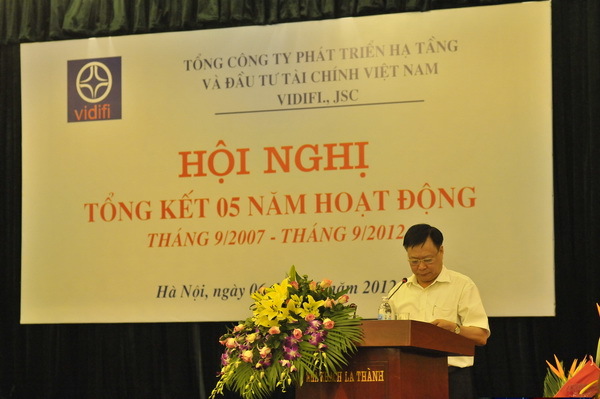 At the Conference, Mr. Pham Duc Hoa – Chairman of the Board of Management of VIDIFI summed up 5 years of establishment and development of VIDIFI, from the first days of establishment with many difficulties and challenges, all the staff of VIDIFI made their best efforts to overcome all the challenges and make great strides forward. 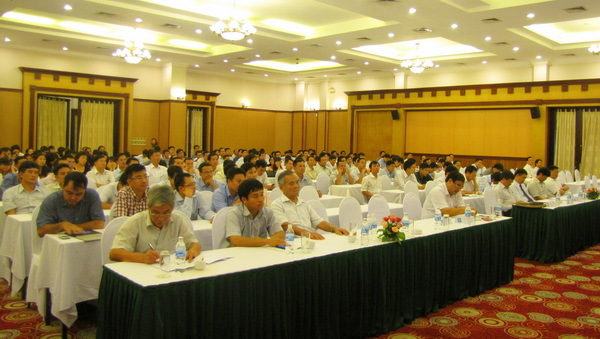 He also stressed that this Conference is a good chance to review the outcomes achieved, the limitations and put forward the orientations, objectives and solutions for the successful implementation of the business plan, especially the carrying out of the Hanoi – Haiphong Expressway Project up to the progress and quality requirements. He requested that all the staff unite and build concensus among themselves, enhance the initiative and sense of responsibility, take full advantage of the internal resources in seeking to achieving the objectives. 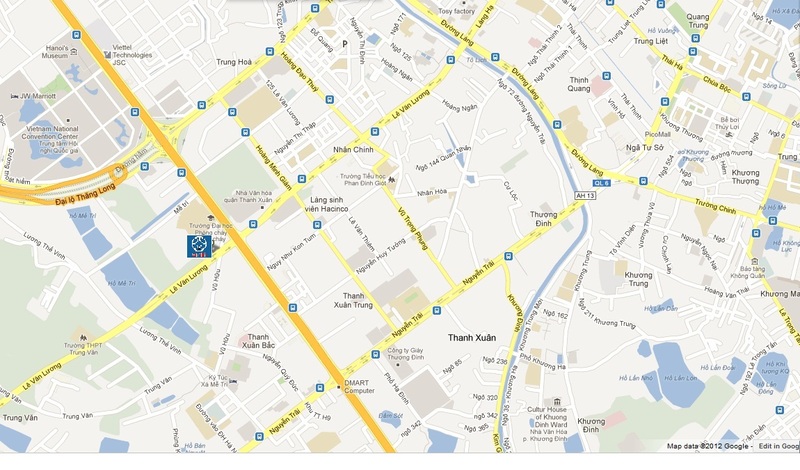 He acknowledged the valuable contributions by all the staff who used to work and are working for VIDIFI. They overcame the challenges and made great efforts to properly fulfill their tasks in any circumstances. 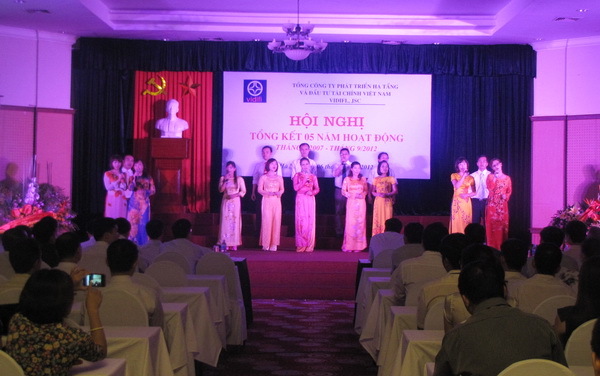 In his speech, Mr. Nguyen Quang Dung expressed his delight in participating in the Conference. On behalf of the shareholders, he highly appreciated the efforts as well as the accomplishments made by the management and the staff of VIDIFI over the past 5 years. In addressing the current economic depression, he requested VIDIFI to make stronger efforts and believed that the Company would overcome the difficulties and fulfill the development strategies. 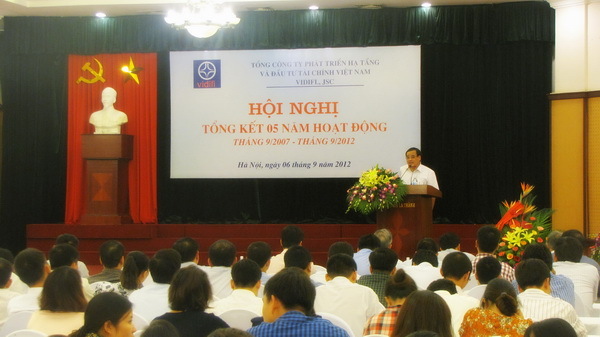 In seeking to fulfilling the business plan, Mr. Pham Van Bon – Vice General Director, Chairman of the Trade Union of VIDIFI, called for all the staff and members of the Trade Union to use their best endeavours in overcoming all the difficulties and challenges, reform their way of working, successfully complete the tasks assigned, especially the implementation of the Hanoi – Haiphong Expressway Project up to the required quality and within the given time-frame, which would help to promote the economic development of the Key Economic Zone of the North.